The Unjust | Budanggeorae (2010) - Lead D.A. kaya Feb 04 2018 5:37 am Such a wonderful and complet actor! Hats off, Maestro! Minami Dec 16 2017 11:47 pm What an excellent actor! Chief Oh you are more than awesome. Keep up with your great acting. Shay Oct 13 2016 7:56 pm An amazing actor! He is flawless in acting out his characters. I'm glad to see he is getting recognition. rereerere Jun 28 2016 9:57 am Amazing actor! Korean pards May 29 2016 12:40 am Great good-looking actor, wonderful job in Misaeng and Memory. A really talented actor. Hope he gets more dramas! TP May 25 2016 1:51 am You are such a superb actor period! baek sueng jo Apr 09 2016 4:08 pm Lee sung min , you made me love you then hate you with your acting that's how effective you are you can be an evil, an angel and a human depending how the story called you for!!!!! Daebak ahjusshi!!!!!! Vitana Oct 08 2015 1:41 pm GREAT actor! Wish him best. shuurinn Jun 25 2015 11:28 am Loved his acting performance as Manager Oh Sang Sik in Misaeng. Wish he would get more meaty roles like this. Fighting! Misstumbler Jun 06 2015 1:03 pm Fighting oppa ! You did a great job in Misaeng. Your acting is very natural and believable. You nailed that role. Thumbs up. Hope you get more good roles in the future. double10day Apr 28 2015 2:26 am YEAY!!!!!!! my guess is correct. He's nominated for excellent actor category in Baeksang Award!!!! double10day Mar 04 2015 4:04 am I kinda root for him to get a Daesang at Baeksang award this year for his perfect portrayal of Oh Sang Shik Chajang-nim! Yongin Feb 22 2015 2:13 am Anyone who only reading about 'Misaeng' in news articles probably will thinking the drama is centered in Siwan's Jang Geu-rae character and his struggle on the workplace. However, if we really watching the drama until the last episodes, it was Lee Sungmin's acting that brought a nice sense of reality on this drama. Siwan's acting as Jang Geu-rae is wonderful and he truly did his best to portray the character's hardship and emotion on Misaeng. However, Lee Sungmin's acting is more mind-blowing. He as Section Chief Oh character is become the heart and soul of 'Misaeng'. Lee Sungmin's acting experience successfully counterbalanced Im Siwan's talent, creating a powerful and realistic dynamic between two actors and the characters they portrayed, that will subsequently lasting even until the very last second of the last episode, making the drama is very enjoyable to watch. I already keep the eyes on him during 'Pasta' days and even with him acted only as a supporting character, his acting on 'Pasta' was always catch my attention. His acting skill is simply amazing and really no joke, comparing with the other popular actors that can not acting and only relied on their appearances. Lee Sungmin is one of few Korean actors that we can really say as 'actor'. Good job! hobbes Dec 21 2014 4:59 am amazing! Watched Misaeng and have never seen such spot on acting and Ive watched 100s of K dramas ( and NEVER commented before)....he is truly amazing with his acting. ThAt drama was polished as Ive never yet seen. and Lee sung-min topped it. Thank you. HEN Nov 25 2014 8:11 pm I like his dramatic roles more than the comedic ones. I really liked him in The Kings 2Hearts, this one-Golden Time, and even his role in When A Man Loves. 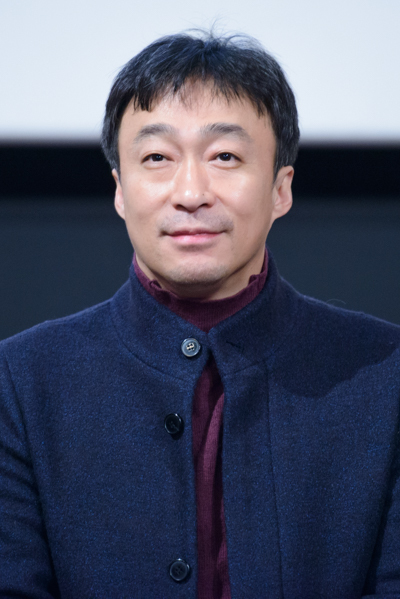 sally Nov 12 2014 11:40 am love this actor so much, you were so cool in The king 2 hearts, Miss Korea and now in Misaeng! Ginger Nov 10 2014 3:55 pm I am enjoying your work in "Misaeng"!! Fighting Oppa! Dian Dec 05 2013 9:49 am I like the way you play your cast....soooooo....handsome!!!! Gasenadi Jul 24 2012 8:55 am He is KILLING IT in "Golden Time" as the fearless, maverick, devoted surgeon facing off against the "system". Makes me glad Lee Sung Min is such a familiar face in the industry. Loved him in King 2 Hearts (who didn't?). Have seen him in several movies and dramas. But his role in Golden Time is awesome. Hope to see him in more roles like this. GYS Mar 24 2012 12:24 pm I first saw him in Brain although i've watch My Princess but i don't recall seeing him acting inside, lol. He is a very funny man in Brain, esp. his laugh and the way he clip his eyelashes haha, i must admit though, he is not a very good neurosurgeon in Brain, actually abit useless but still he provide enough entertainment to make up for his lack of ability inside that show. He would do well in a comedy drama. Will be watching out for him in King 2 hearts soon. SAK Mar 21 2012 5:25 pm i like his acting...especially in "Brain", as a talented neurosurgeon, ambitious and extremely funny man! today in the first episode of "King 2 Hearts" as a King, i did' not even recognized him, he is sooooo young and very handsome! i think he did a great job with all that politics and unification issue, and played a protective elder bro for the main character in this drama!